A bounty of 13 collections by varied fashion labels, each reinventing traditional Indian fabrics in their own distinctive way, left the glamour world abuzz with excitement. The show opened with designer-wear by Divya Sheth, Ujjawal Dubey and Mayank Anand and Shraddha Nigam, modelled on the ramp in The Ballroom of Mumbai’s chic 5 Star property, Palladium Hotel. A mesmerising mix of fabrics, colours, styles and innovations, inspired by different regional handloom traditions, created a visual treat for onlookers matching up to all expectations. Mulmul clothing stole the show, with 8 designers giving it primacy in their collections, bringing to life, Harper Bazaar’s “Bazaar Inspires” initiative (which aims at spreading awareness about indigenous textiles). What a wonderful tribute to India’s rich heritage! Some collections stood out as Fashion’s very best. Divya Sheth’s “Sultana on Safari”, which used eco-organic fabrics like pure home spun khadi, silk and silk chiffon, etc, made quite an impression on onlookers. 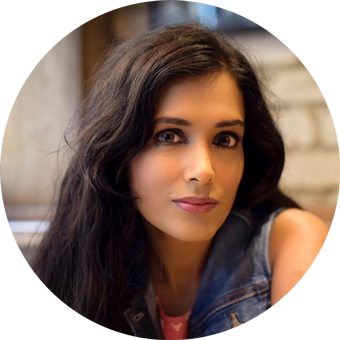 Shruti Sancheti’s “Nomadistaan” collection also created quite a stir with its non-conformist, eclectic approach to textile and stylistic combinations. And Kiran Uttam Ghosh’s show offered a futuristic fusion of global styles and Indian textiles – this collection will undoubtedly define the biggest high-couture trends this season. Further, casual menswear by Killer, which presented the snazzy “This is Us” collection was quite eye-catchy with pop colours and cutting-edge styles. 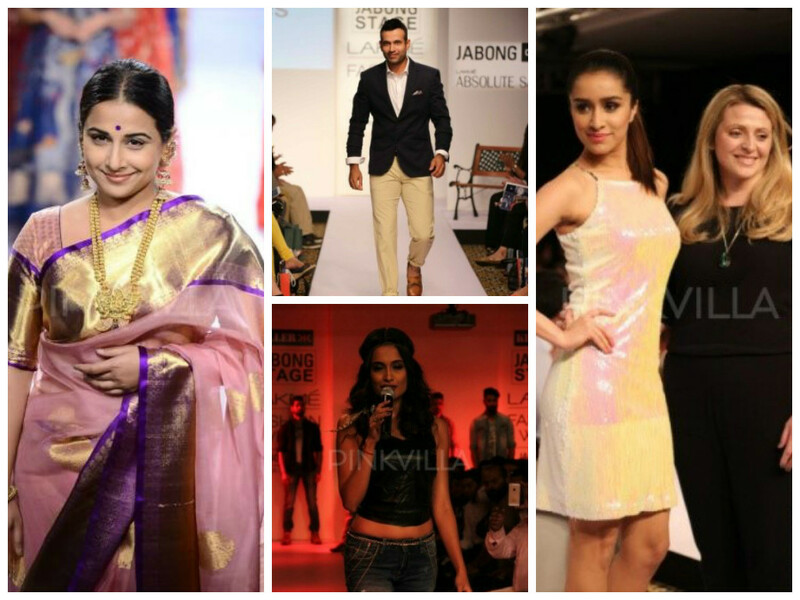 Another night of celebrity sightings on the ramp came the audiences’ way on the third day of LSW 2015. While the graceful and stunning Vidhya Balan was the showstopper for Gaurang Shah, pretty belle Shraddha Kapoor walked the ramp for Miss Bennet London. Irfan Pathan stole the limelight at the Easies and Killer show, in the aftermath of a scintillating musical performance by actress and VJ Sarah Jane Dias. 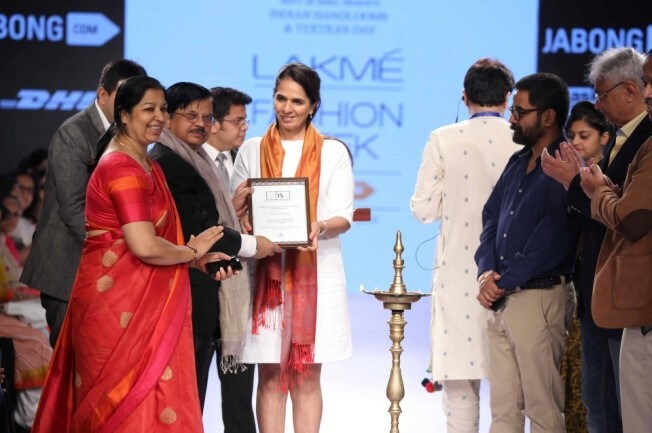 All in all, it was a proud day for the Indian Fashion Industry, which dished out its unique sartorial creed with much panache and success. 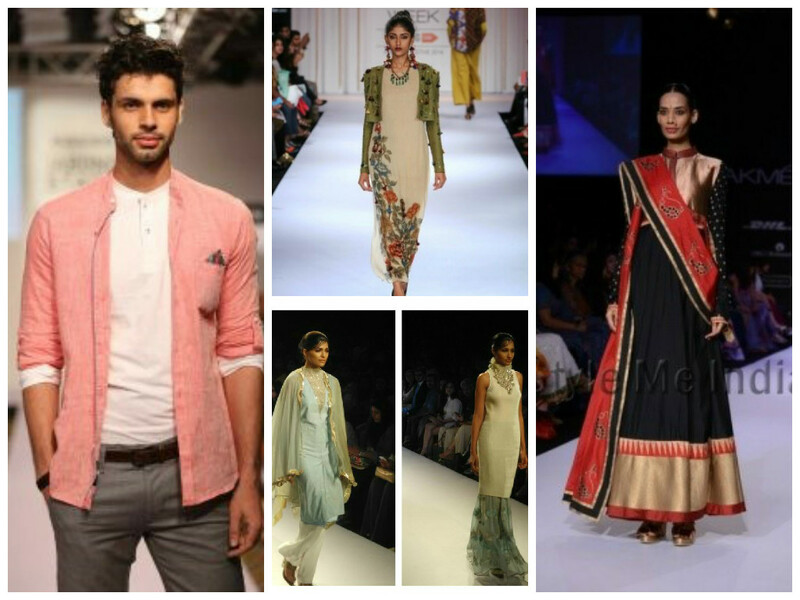 Keep following us to know what makes it to the fashion headlines next!